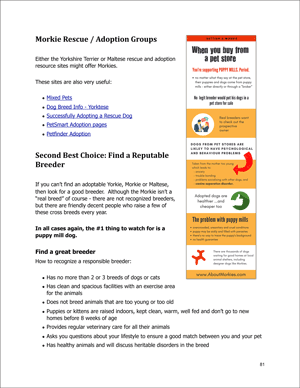 The total guide to raising a happy, healthy Morkie! Whether you’re just thinking of getting a Morkie, or you’re a dedicated Morkie parent, this is the book you need: the complete guide to raising a happy, healthy Morkie. The Mega-Guide is a practical, easy-to-read manual. It’s filled with useful information about the unique needs of the adorable Morkie, with chapters on Morkie temperament, nutrition, exercise, training, grooming and the special health care needs of small dogs. 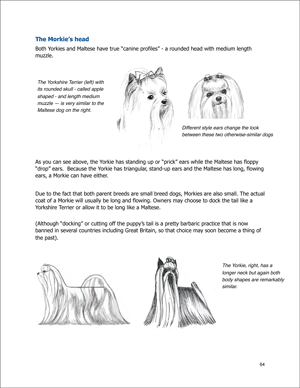 Read about the Yorkshire Terrier and the Maltese, and how these two parent-breeds have shaped the Morkie temperament, health and looks. 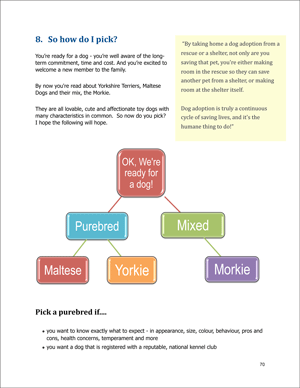 Indispensable to Morkie parents, this comprehensive guide is right up-to-date with the latest on small dog care, written from one dedicated pet lover to another. ALL NEW IN 2018. The Yorkshire Terrier has been in the Top 10 most popular registered dogs since 1960. And the Maltese is known as one of the most glamorous, with his long, white coat to the ground and bright button eyes. Combine them and you get the adorable Morkie, with his unique looks and personality. 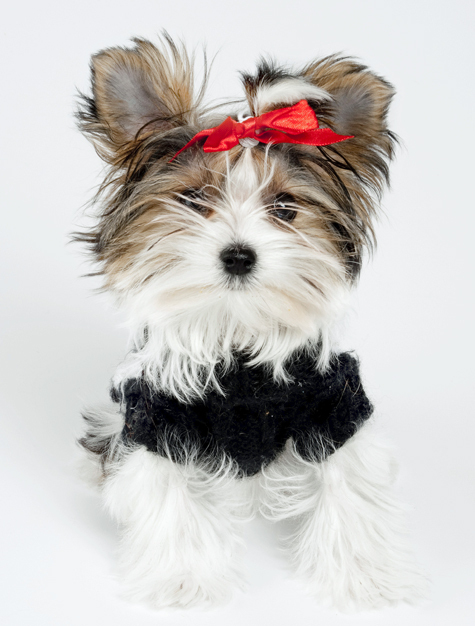 This Mega Guide covers everything you need to know to raise a happy, healthy Morkie. 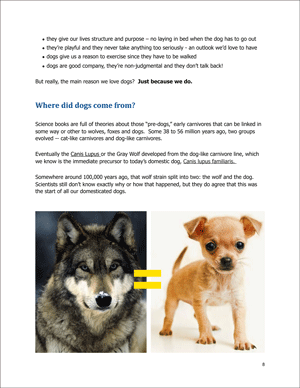 From finding a good puppy to training, feeding, health care, vaccinations and the unique needs of small dog care. 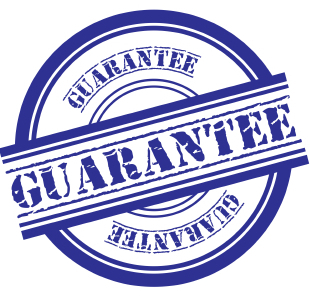 Your purchase comes with a 100% satisfaction guarantee. Not happy? Ask for a refund; no questions asked. 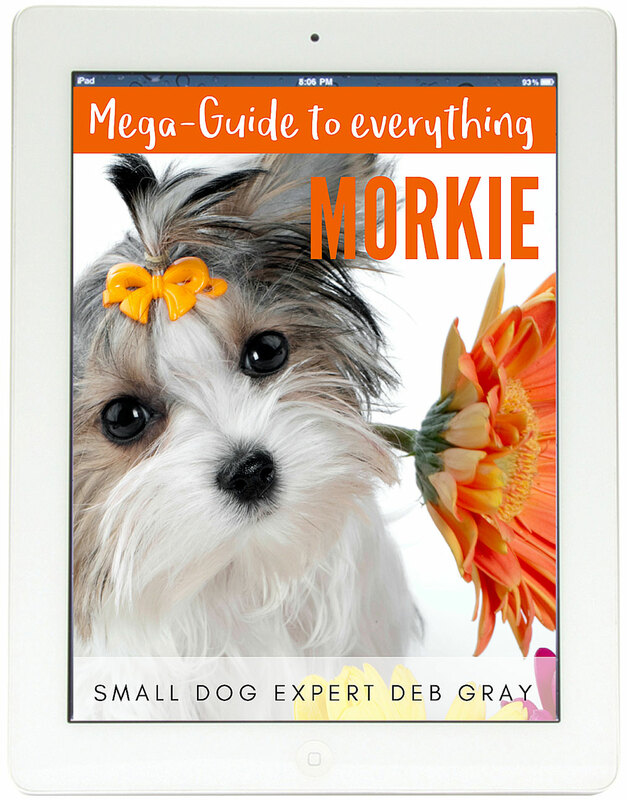 Title: Mega Guide to Everything Morkie! No reviews yet, but we would like to get yours. Just click here. You can check out with PayPal, even without a PayPal account.